Sleigh & Son Solicitors, Droylsden have been established in the area for over 90 years. We have an in-depth knowledge and understanding of the local community and the needs of people in the local area. Christopher Sleigh is our senior partner(assisted by Marjorie Mills), in charge of elderly client services, probate, wills and estates, along with other related legal services. Lauren Sanderson is our associate solicitor also dealing with wills, estates and probate matters. 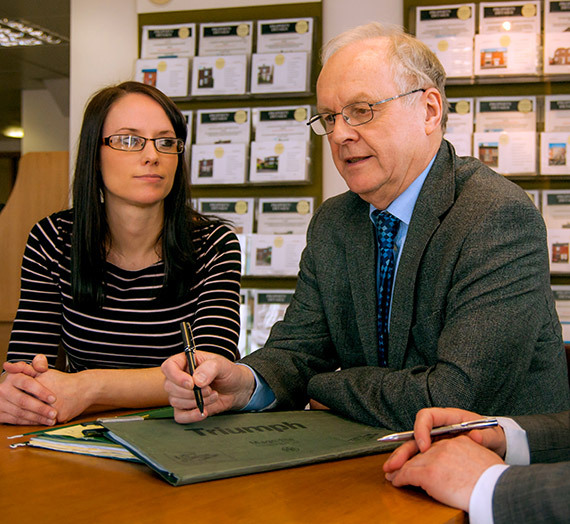 Our long-standing professional working relationship with N.Gill inc. G & E Rayment, Funeral Directors ensures that your enquiry will receive a friendly, sympathetic and supportive approach to your legal requirements. When you are faced with bereavement, the need to make funeral arrangements and deal with a loved one's estate, a friendly chat at an early stage in proceedings will enable you to be reassured that you are doing the right things in the right order. Please feel free to contact either Christopher or Lauren for this advice. Call us on 0161 370 9524, or click here to visit our website.